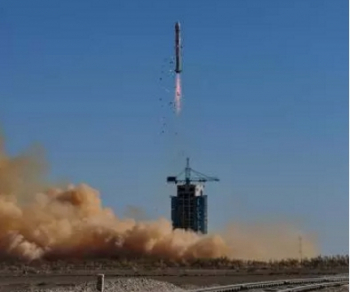 The Chinese have launched the Yaogan-30 remote sensing satellite via a Long March (Chang Zheng) 2D (Y27) rocket on Sunday. The launch – from the from the Jiuquan Satellite Launch Center – took place at 02:43 UTC from the 603 Launch Platform at the LC43 Launch Complex. This may explain why no one was advised in advance of the mission payload for the Long March 2D, with many commentators assuming the launch would be for the Gaofen-10 satellite. Yaogan-30 is probably an electro-optical observation satellite based on the military Jianbing-6 series. Similar satellites were the Yaogan-2 (31490 2007-019A) that was launched on 25 May, 2007; the Yaogan-4 (33446 2008-061A) launched on December 1, 2008; the Yaogan-7 (36110 2009-069A), launched on December 9, 2009; the Yaogan-11 (37165 2010-047A) launched on September 22, 2010; and the Yaogan-24 launched on November 20, 2014 (40310 2014-072A). The Jianbing-6 electro-optical satellites carry high resolution optical sensors and reportedly have a resolution of between one to three meters and are placed in orbits that provide favorable illumination for the imaging missions. According to USSTRATCOM parameters, the spacecraft – which will have the the codename 01-74 – was logged at 626 by 655 km at 98.07 degrees (epoch 04:13UTC). This is understood to be similar to the orbit of Yaogan-2 (626 by 654 km at 98.02 degrees). This was the 227th mission for the Long March rocket family. 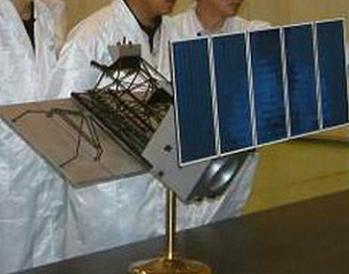 China launched the first “Yaogan” series satellite, Yaogan-1, in 2006. The development of CZ-2D was started in February 1990. From 2002, to meet the demand of SSO satellites, the payload fairing of 3350mm in diameter and attitude control engine for the second stage have been successfully developed; and the discharge of remaining propellant and de-orbit of the second stage have been realized. This launcher is mainly used for launching LEO and SSO satellites. It is characterized by high reliability, wide application and mature technology. The Jiuquan Satellite Launch Center, in Ejin-Banner – a county in Alashan League of the Inner Mongolia Autonomous Region – was the first Chinese satellite launch center and is also known as the Shuang Cheng Tze launch center. The site includes a Technical Centre, two Launch Complexes, Mission Command and Control Centre, Launch Control Centre, propellant fuelling systems, tracking and communication systems, gas supply systems, weather forecast systems, and logistic support systems.